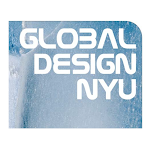 Global Design New York University: Weltstadt Newspaper: New York | "Cities and Citizenship"
Weltstadt Newspaper: New York | "Cities and Citizenship"
Global Design NYU would like to thank and congratulate all who were in involved in the "Cities and Citizenship" three-day symposium event. The 5th issue of the Weltstadt Newspaper series discusses the idea of the city in relation to its citizens. The articles brilliantly cover and explore the big themes in the "Cities and Citizenship" event-- themes that involve design, architecture, sociology, urbanism, ecology and identity. Read the articles to learn what scholars have to say about this topic and see photographs from each of the terrific events. Articles from "Cities and Citizenship"
The work by Global Design NYU is on page 3.
wscentre is one of the Best Web Development Company in New York for CMS Webstes, E-Commerce, Web designing and application development. A good look and feel website design is very important.website development new york This is a very good blog. I appreciate very much this text, thank you, let me know so I have moved the article.